The Batman vs. Robin Trailer is Here! DC Entertainment and Warner Bros. 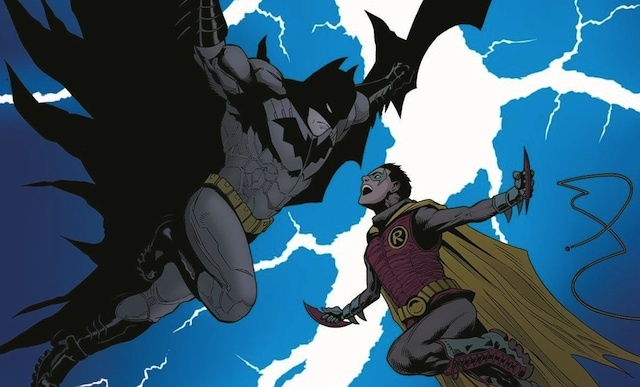 Animation have debuted, via IGN, the trailer for the upcoming animated film Batman vs. Robin, which is inspired by the Batman: The Court of Owls storyline from Scott Snyder and Greg Capullo. Check it out in the player below! Jason O’Mara, Sean Maher, and David McCallum are all returning in the respective roles of Batman, Robin, and Alfred, with Jeremy Sisto (“Suburgatory”) joining as the voice of Talon, the Court’s almost unbeatable assassin; Grey Griffin as a character named Samantha; and “Weird” Al Yankovic as The Dollmaker, a Batman villain who previously has appeared on “Arrow” and been teased on “Gotham”; Robin Atkin Downes as Grandmaster; Peter Onorati as Draco; and fan-favorite Batman voice Kevin Conroy will guest star as Thomas Wayne, Bruce Wayne’s father. Jay Oliva, who previously directed Batman: Assault on Arkham and both parts of Batman: The Dark Knight Returns in addition to storyboarding Batman v Superman: Dawn of Justice, will helm the feature from a script by comic writer J.M. DeMatteis. The movie is produced by Warner Bros. Animation, DC Entertainment and Warner Bros. Home Entertainment and will debut this spring. It’s the next entry in their shared universe animated films that began with Justice League: War. Other entries in the continuity include Batman and Son and the upcoming Justice League: Throne of Atlantis.